It’s Sunday morning and you after a night drinking a little too much are feeling sluggish. What do you do? Most of us get out of bed, drink a tall glass of water, make breakfast, and drink a lot of coffee. Lets be honest, this never works, the hangover is still there, the only thing that helps is time. 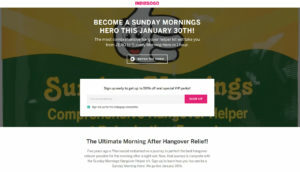 There is a company on Indigogo that is trying to make hangovers a thing of the past with their new herbal morning-after herbal hangover remedy called Hangover Helper. When I first heard about a hangover remedy I was instantly skeptical, but doing research on the product I began to become more intrigued. The product is manufactured by the Sunday Morning Pharmaceuticals group under the name Hangover Helper. The Indiegogo campaign is set to launch later this month January 30th 2018. The campaign is set to run for 30 days and seeks to raise $10,000 for marketing and ongoing product development. The $10,000 will also allow customers to get the herbal-based remedy product for as little as $19.00 (early bird special). What Makes Hangover Helper Different? There are other so-called hangover cures on the market, but what makes this product different is that you can ingest it after the hangover has set in. Hangover Helper is created, compounded, and packaged in the U.S. by a registered pharmacist. This FDA-compliant herbal and homeopathic hangover relief and rehydration formula contains an effective mix of organic nutrients and compounds. Hangover Helper ingredients include vitamin A, B, C, D, E, B6 and B12, and minerals riboflavin, niacin, folate, biotin, pantothenic acid, zinc, sodium, potassium and an advanced form of thiamine called sulbutiamine. This blend is combined with additional ingredients white willow bark extract for headache relief, artichoke leaf extract to reduce symptoms of heartburn, and dihydromyricetin, an herbal extract that helps protect the brain and liver from alcoholic byproducts. Sunday Mornings’ combination of vitamins, electrolytes, ancient herbal extracts and homeopathic remedies facilitate a four-pronged scientific approach toward hangovers. Statistics show and this really depends on your gender, size, and weight but generally hangovers can occur after 4-5 drinks. For the more sensitive hangovers can occur with as little as 2-3 drinks. General rule of thumb is if you don’t want a hangover or feel any after effects of alcohol that next day don’t drink at all! The reality is once in a while at your company Christmas Party, networking event, or your best friend’s 21st birthday party a hangover might occur and it’s nice to know there is a product that might help. Sunday Morning Pharmaceuticals is a Los Angeles based group created by seven-year-pharmacist Sean Agazanof, that seeks to provide more effective herbal based remedies for everyday health problems. 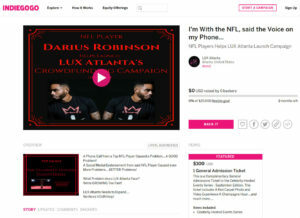 Visit there Indiegogo campaign today. I’m happy to report the POLARMOND bag is doing very well with 101% of their goal completed. 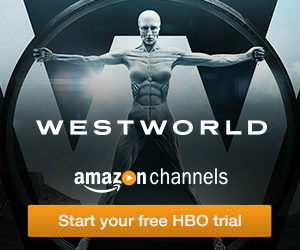 Now they need to raise funds on Indiegogo. The startup was founded by Swiss engineers Walter Krummenacher and Marcel Schubiger. The long term vision doesn’t just stop at hikers and campers they want the POLARMOND to be used by refugees and homeless. 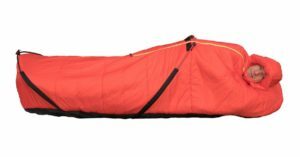 With funds from Indiegogo the startup will be able to finance the development and production of our revolutionary, temperature-controllable Trekking Sleep System. These products will first be sold in the outdoor market. The POLARMOND will help refugees and homeless and distribute product to aid organisations. The bag will help protect these people from cold. The Thunderclap web site where POLARMOND is currently listed on has already spread the message about this bag reaching 122,744 people or 101% of their social goal. The next step in the journey is setting up and getting funding on Indiegogo. Please support POLARMOND any way you can by sharing on social media, contacting the company, subscribing to their YouTube, or support POLARMOND on their Indiegogo when it’s set up. Just discovered this awesome Indiegogo campaign for the Emergency Escape Umbrella. The umbrella ferrule is made of 800HV chromium alloy which can be used as a window glass breaker. 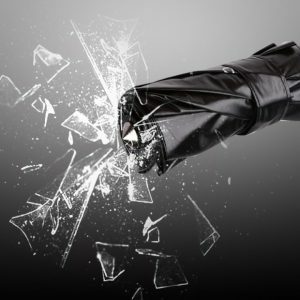 No one carries around a glass breaker, but almost everyone at one time or another carries around an umbrella. For only $1 get umbrella 98% off. 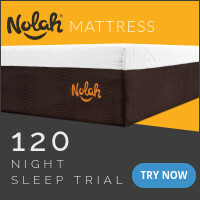 This is an amazing offer! 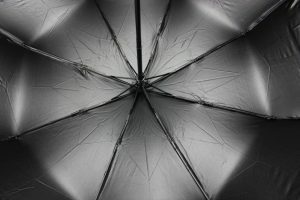 This umbrella is not only high quality it boosts the ability to break glass. 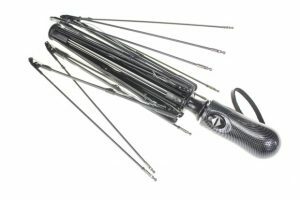 Not something you will do everyday, but lets say you lock your keys in the car this umbrella would be one way to get back in. For only $1 or 98% off reserve your umbrella today. Hey CashSherpa.com readers! Today we want to introduce an exciting piece of technology called HELLO. 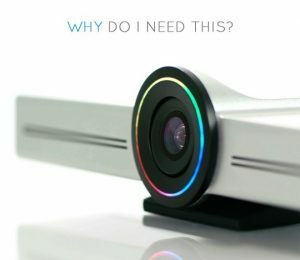 HELLO The Most Advanced Video Communication Device and is being funded by Indiegogo. What is the HELLO device? “The HELLO device is designed to be affordable for businesses and individuals. It requires only two cables – HDMI and power – and then turns any TV into a voice-controlled cross-platform communication device, with wireless screen sharing, live broadcasting, and motion-activated security surveillance features. Users can wirelessly share the screen of any computer or mobile device on any Hello-equipped TV, stream live events using the Solaborate platform, and keep an eye on homes and offices while away with HELLO’s motion detection and notification system. The device is cross-platform, working with Windows, Mac, iOS, Android, and Linux. $432,563 USD total funds raised 1339% funded on September 6, 2016. The most popular funding option is the $189 level where backers can get a HELLO device and unlimited lifetime use at no additional cost. We already brought you the story of the G Series Headphones on Kickstarter, now we bring you the G Series Gold Headphones on Indiegogo. Kickstarter is an all or nothing crowdfunding platform while Indiegogo has a flexible plan where one doesn’t have to raise the entire amount in order to keep the money. Indiegogo also boosts a much smaller community than Kickstarter. Already this project has raised $270 of their $30,000 goal. Supporters have a wide range of products to choose from. For example pledge just $2.00 and be the first to receive the new G-EQ digital equalizer for iOS or Android, built in music player, full equalizer, bass boost, and more. 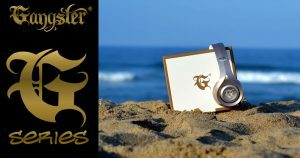 If Gangster brand headphones and their story interest you check out their Indiegogo campaign.